Hey guys and gals! Happy September :) We're getting closer and closer to Autumn and I'm oh so excited! Here is a look I came up with a few days ago for you all. It's a smoky eye with a twist - Double winged liner with pops of color. This look definitely isn't for the shy! It's bold, loud, and fun. It can also be used as a vampire look. I love the combination of the monochromatic smoke with the contrasting bright colors. 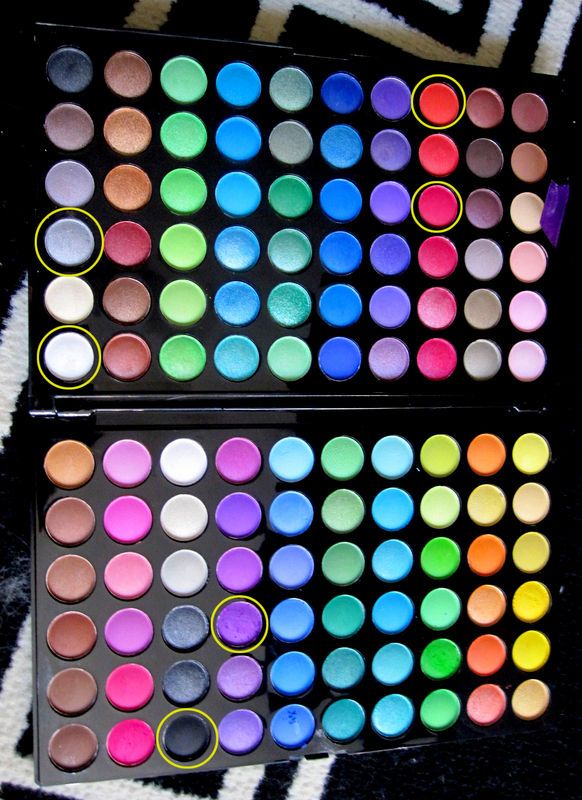 BH Cosmetics 120 Eyeshadow Palette (2nd Edition) Colors used are circled in the photo to the right. From the palette, I used a light silver all over the lids, then contoured the corners and crease with black. I highlighted my inner corner with a shimmery white, and my browbone as well. For the red liner, I mixed the red and deepest orange in the palette and added some water to create a liquid liner. I used a royal purple on my lower inner corner and blended it towards the black & silver. I hope you guys like this look! I know it's dramatic. (especially the red liner), but I just love these in-your-face looks. Makeup is meant to be fun, ya know? You can always make it look your own too. You don't necessarily need to make it look like mine... customize it :) Have a great day everyone...love you all! 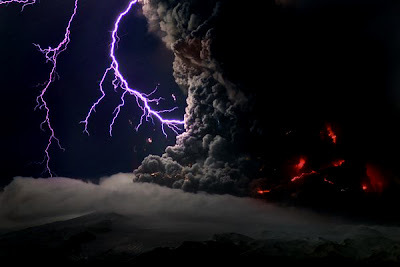 wow this is really dramatic but awesome i love it! Your Amazingly talented!!! Love this LOok ! absolutely LOVE this look! the red liner is AMAZING!!! and i love the purple and black on the bottom!! gorgeous! I love the pop of purple, beautiful! Oh my god. This is incredible! There's nothing I don't like about this look. I love red eyeliner. This is definitely one for me to try. This is amazing!! Where do you find all these photos, they're all so inspiring! this is amazing! i loved! OMG... the colors! I adore it! OMFG I love this to death!!!!! This is freaking hot! This is insane I love it! you're on such a make-up high at the moment! I love when you have a new post! This is SO AMAZING. I'm in awe! Amazing! I am in love with this look! OMG this is absoloutely stunning!!!!!!! i love something different! Wow this look is stunning (in a great way!) I love it. i really love the red liner in tthis look! you always look beyond amazing! I love how you get the best out of these palettes. WOW. i am totally speechless looking at these pics. i need the step-by-step, for dummies tutorial! ;) AMAZING! wowwwwwwwwww! I love your makeup! It´s very dramatic, and you have amazing eyes!! Wow, what a great combo!